Dr. Sandra Rouse began her career in higher education at Newberry College in 1998 as Assistant Director of Residence Life and Student Activities and was named Director of Residence Life later that year. She added another 14 years of higher education experience at institutions throughout the Carolinas before returning to Newberry in August 2014 to serve as Associate Dean of Students. She was named interim Dean of Students in August 2016 and awarded the permanent role this month. In her role as Dean of Students, Rouse serves on the College’s senior leadership team. She is responsible for providing strategic direction for student-focused areas of the institution, including Housing and Residence Life, Campus Safety, Health and Counseling Services, Student Engagement, Greek Life, Student Leadership, Judicial Affairs and Postal Services. She works closely with departments across campus to develop programs and services that promote student success, support student retention and ensure the timely graduation of students. 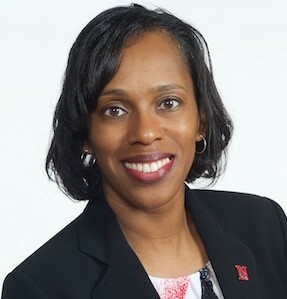 Before to joining Newberry College, Rouse served as Director of Education and Research for the National Association for Campus Activities in Columbia, S.C. (2011-2014). Prior to that, she was Director of the Freshman Year and Retention Programs at Voorhees College (2007-2011), where she was responsible for increasing fall to fall retention by 20 percent during her tenure there. Prior to that, she served as Director of Residence Life at Salem College (2005-2007). Previously, Rouse was Assistant Director of Student Advising and Recruitment Center for the School of Education at The University of North Carolina at Greensboro (2002-2005), and served as Area Director (2000-2002) at that institution. In addition to her administrative roles, Rouse has frequently been a course instructor at the institutions where she served. Rouse has received several awards for her contributions in higher education. She holds a Ph.D. in Higher Education Administration from the University of North Carolina at Greensboro. She earned her M.Ed. in Student Personnel Services from University of South Carolina in Columbia, S.C., and received her B.A. degree with a double major in Psychology and Dance from Columbia College. She also has numerous industry affiliations and certifications.